Writing your own software tests in Java is simple and clean. This guide will show you how to simplify some of the less common tasks as well. For student use, we provide a supplemental library (already available to all assignments on Web-CAT) that enhances basic JUnit features in a number of ways that will make your life easier. There are two steps to using this support: make sure the appropriate jar files are on your classpath, and then use a specific base class for all your test cases (even if you are using JUnit 4 techniques--use the provided base class anyway). Place this jar on your project build path. If you're using Eclipse and you've already added Eclipse's built-in JUnit library to your project, ensure that student.jar comes before Eclipse's JUnit library in the search order--or just remove Eclipse's JUnit library from the build path entirely. Built-in methods to provide stdin content to code being tested, as well as to check stdout content produced. Better messages for some assertions, and better error checking for others. Ability to use JUnit 4 annotations and programming style, if you prefer that over JUnit 3. 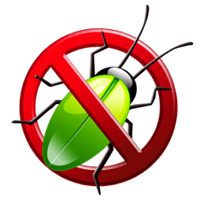 Protections for System.exit() calls in code under test (i.e., if your code calls System.exit(), this raises an exception in your test case that you can catch, rather than terminating the virtual machine). Extra assertions that support "fuzzy" string matching (ignoring punctionation, capitalization, spacing, etc.). A specialized subclass, GUITestCase, provides full support for testing Swing applications with graphical interfaces. Platform-independent line ending normalization for text, so that tests do not need to include platform-specific line terminators. Simple methods to load text from a file (for use as either input or expected output), or for writing slightly cleaner multi-line text literals in your code. For full details, see the Javadoc documentation for student.TestCase. Import the JUnit classes so you can use them in your code. Your class should be named using the JUnit convention with the name of the class you are testing followed by the word Test. If you class is named Student, then your test will be named StudentTest. Test cases are defined using methods with names that start with test...(). Typically, your method will be named following the method you are testing in your source code. The example to the right tests the setName() method, so it is called testSetName(). For more complicated methods, you may have many tests (e.g., testFoo1(), testFoo2(), testFoo3(), etc.). You have to test your assumptions/expectations of your code using an assertXXX() method call. These are provided by the TestCase base class. assertEquals(x, y); Assert that two values are equal, using the equals(Object) method to compare them. This is the most commonly used assert method in your arsenal. assertEquals(x, y, delta); Assert that two floating point values are equal, within some tolerance delta. Because of the inexactness of floating point representations, it is incorrect to test that two floating point values are equal using numeric equality (==). Fortunately, if you try this while using student.TestCase, you'll get an appropriate diagnostic error. Instead, always specify a tolerance value: how close to the expected value does the computed number have to be? assertTrue(condition); Assert that a boolean condition is true. assertFalse(condition); Assert that a boolean condition is false. assertNull(x); Assert that a reference is null. assertNotNull(x); Assert that a reference is not null. assertSame(x, y); Assert that two references refer to the same destination (i.e., two variables refer to the same object). This is the same as performing an == equality comparison between reference variables. There are many more assert methods than those listed here, but these are by far the most common. Fixtures are objects that are used in your test cases. Define your fixtures as private fields in your test class (instance variables). Initialize your fixture in the setUp() method. The setUp() method is called automatically before each test method is executed, to ensure each test operates on a clean set of freshly initialized objects. The two test cases on the right run succesfully, since they each start with a freshly generated copy of the aStudent object. Consider this simple piece of code. Themain() method is just a static method, so you can call it directly like any other. Don't forget its argments! The student.TestCase base class provides for capturing all output sent to System.out during a test case. The history contents are reset before every test method automatically. Note that if you are using assertEquals(), the expected output must match exactly, character for character, including all newlines. Also note that systemOut()'s history is automatically normalized to represent newlines as "\n", regardless of platform, so just use \n in any expected values. The student.TestCase base class provides an assert method called assertFuzzyEquals() that performs more lenient string comparisons. It ignores all differences in capitalization, punctuation, or extra spacing, as well as all whitespace at the beginning and ending of strings. The exact details of what features are ignored in fuzzy comparisons are programmable if necessary. See the API for the StringNormalizer class and for TestCase for more details. You can even change all your assertEquals() calls to use "fuzzy" comparisons, if you want. The student.TestCase base class provides some helpers for more advanced string tests, including one for regular expression testing (giving better failure messages than just using the methods in the String class). You can provide any arguments you want when you call main() in a test case. You can provide your own contents for System.in within your test case if you are using student.TestCase. setSystemIn("Joe\n");  // Don't forget the newline! You can easily provide multiple lines as well, and setSystemIn() will build the input for you, adding a line terminator at the end of each line. There's also a multiline() helper method you can use in any other situations where you need to write multi-line strings. "You can provide as many as you like." Or you can read the input from a text file using fromFile(). Provide a file name, or a File object, as the argument--be sure not to use absolute path names, though, since those are user-specific. Notice that the assert method call in the example shown above includes the full text, including the prompt message. In fact, the prompt message is followed by a space, because that space is part of the prompt itself, but it isn't followed by a newline (the newline is part of what is typed on stdin, not part of what is "printed" by the program). This can be a bit confusing if you have many back-and-forth prompts and responses in a test case action. Sometimes, it is better to use contains() or endsWith(), rather than testing the entire output using assertEquals(). If you are using Web-CAT in your course and want to submit your work from within Eclipse, there is a plug-in you can use. Skip this section if you've taken CS 2114 and already have Eclipse set up for Web-CAT submission. Click the check box next to "Web-CAT Electronic Assignments" in the list, and click Next. Review your selection and click Next again. Check "I accept the terms of the license agreements" and then click Finish. Wait while the plug-ins are downloaded and installed; this may take a few minutes. You may get a warning about installing unsigned code during the installation. Click OK to continue the installation. When the installation is complete, Eclipse will notify you that it should be restarted in order for the changes to take effect. Click Yes to do so. Before you can begin working on class assignments, you need to configure a couple settings in Eclipse's preferences. Once Eclipse has restarted, select "Window > Preferences..." (or on Mac OS X, "Eclipse > Preferences...") from the menu. Click OK to save your changes and exit the preferences window. Eclipse stores settings in your Eclipse workspace, and since you just created a new one, please import the following preferences into your workspace to make your work process smoother. Note that you will have to re-import these preferences if you create new workspaces later. In the import dialog, choose General->Preferences and then click "Next". Now in the "Import Preferences" wizard, click the "Browse" button to the right of the top field labeled "From preference file:" and navigate to the preferences.epf file you just downloaded. Select the downloaded file. Then click "Finish" to import its contents. In Eclipse, select "Window > Preferences..." (or on Mac OS X, "Eclipse > Preferences...") from the menu. In the lefthand tree of the preferences dialog, navigate to Java->Code Style->Code Templates. Check the box at the bottom labeled "Automatically add comments for new methods and types", and then click Apply. If you want Eclipse to remember the last program (or test) you ran and launch it when you press the "run" button, instead of trying to execute the currently selected/visible class, you can select this behavior. In the lefthand tree of the preferences dialog, navigate to Run/Debug->Launching. Under "Launch Operation" at the bottom, select the radio button labeled "Always launch the previously launched application", and then click Apply. JUnit.org has more information on how to use JUnit. Testing GUI Programs is a Prezi presentation that gives a good introduction to LIFT and how it is used. The LIFT website provides more details on LIFT, including links to two sigcse papers, downloads, examples, and discussion forums. Pages based on Twitter's Bootstrap project.